My Mum does so much for me so I think it's important to spoil her on Mother's Day. I always make sure to give her some of her favourite things and something to put a smile on her face. But when it comes to money I don't always have a big budget and a bit of a helping hand is always appreciated. 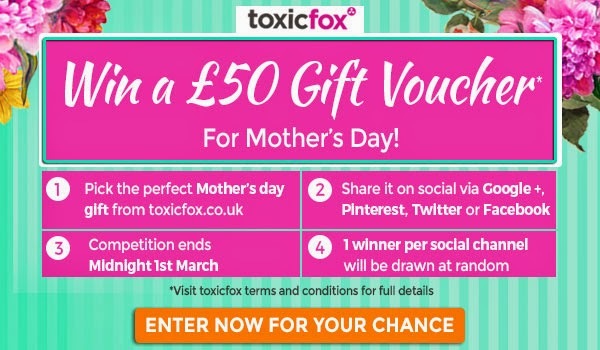 £50 from Toxicfox would be much appreciated and it's pretty easy to be in with a chance. The picture above explains everything but basically all you need to do is share what you would buy your Mum from Toxicfox on different social media platforms. So whether you're a Tweetaholic, or love a Facebook creep it's very easy to enter! 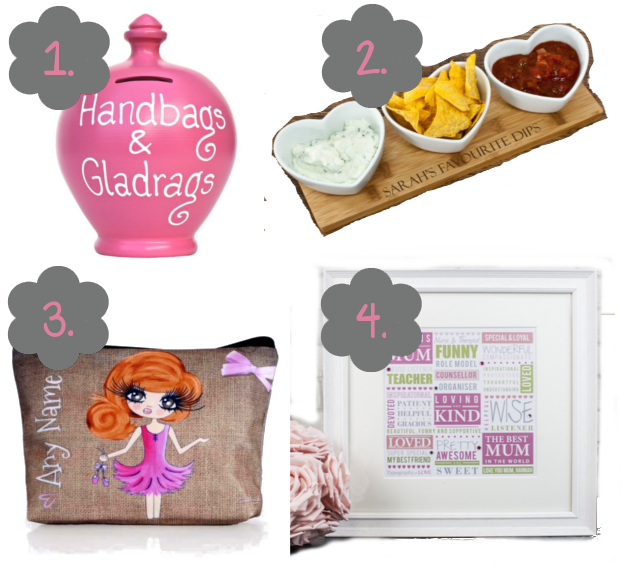 To give you a helping hand I've selected a few of my favourites. I'm not sure which my Mum would love most so I might just have to share one on each platform. Better chance of winning then, eh! Remember the competition closes on Sunday so you better make your mind up quick!